Exclusive design messenger with water-repellent zipper on flap. 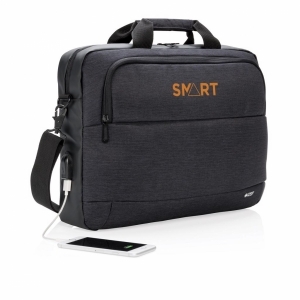 Drawstring main compartment is also covered with a flap and secured with 2 buckles and contains a padded pocket suitable for most 15.6" laptops and a sleeve for a 10" tablet (iPad). 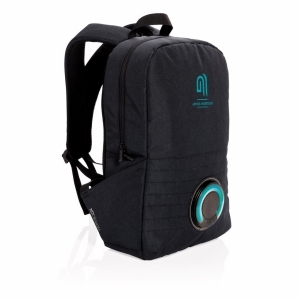 Other features include a zippered pocket under the flap, side water bottle pocket, reinforced top carry handle that is also a trolley tunnel, padded back panel and bottom and removable adjustable strap with padded shoulder pad. Packed in a US Basic gift pouch. 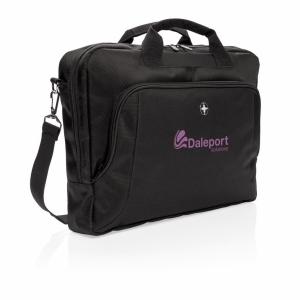 To order an unprinted Basic Oakland 15.6" laptop messenger, please complete the details below.